Yesterday, we spent about three hours trying to convince a client of ours that brand new computers just don't come equipped with the all things that most computers need in a PC. We tried to convince him that a fully functional computer is one that is personalized with specially selected hardware and software accessories - and that the computer purchased at the store doesn't come with these things. Unfortunately, all of our convincing was to our avail. Our client insisted that he should never need more than what came with his boxed product and that we were just trying "bilk" more money out of him. As computer consultants, it's our job and mission to make sure our clients are 100% satisfied when they walk out our offices. But our job is unnecessarily made harder when people don't take the time to learn about computer accessories and familiarize themselves with the limitations of store-bought computers. Hopefully by the time you finish reading this article, you'll understand the lesson that we were trying to teach our client: "What comes out of the box is really just a starter kit." 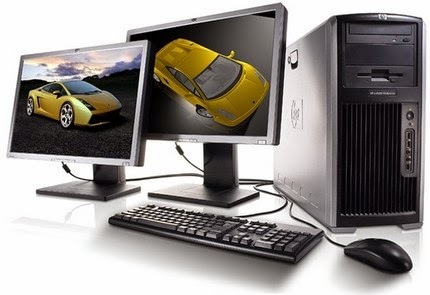 The typical computer package comes with a CPU unit, keyboard, mouse, and speaker set. That may be just fine for some, but most people require more than that especially in today's "connected" society. Today's users require full multimedia capabilities, a wide range of graphics tools, and accommodations for the various portables we now enjoy. These extras aren't included with "what comes out of the box," and the only way to get them is to accessorize. To illustrate the importance of accessorizing, we like to use the "plain dough" analogy. Let's say that a brand new computer is a batch of plain dough - waiting to be flavored and baked into something useful. If we want to use this dough to make a delicious batch of chocolate chip cookies, we would need to "accessorize" this dough with chocolate chips and a little brown sugar. If we want to use this dough into in a warm loaf of sesame seed bread on the other hand, we'd need to "accessorize" the dough with yeast and sesame seeds. Like "plain dough," the brand new computer isn't very useful by itself. It needs accessorizing. Depending on what's needed, accessorizing doesn't need to be expensive. In fact, you can get away with paying a minimal amount for extra software and hardware if these accessories are for children. It's when these accessories are work requirements or when they're needed to produce works of quality for any other reason that they can become rather expensive. And this expense applies to microphones, digital cameras, PDAs, scanners, video cams, and more. Regardless of cost, it's important to understand that accessories can become "necessities," and that the best time to get them is the moment you buy a new computer. Waiting too long to accessorize can cause more problems than necessary because while you wait, manufacturers continuously develop new technologies - technologies that your computer won't be able to accommodate in the future. Once you're ready to accessorize, the new products on the market are too advanced for your computer and they just won't work. This is a typical problem experienced by those who want to use hardware designed for Windows Vista on a Windows XP or Windows 2000 machine.